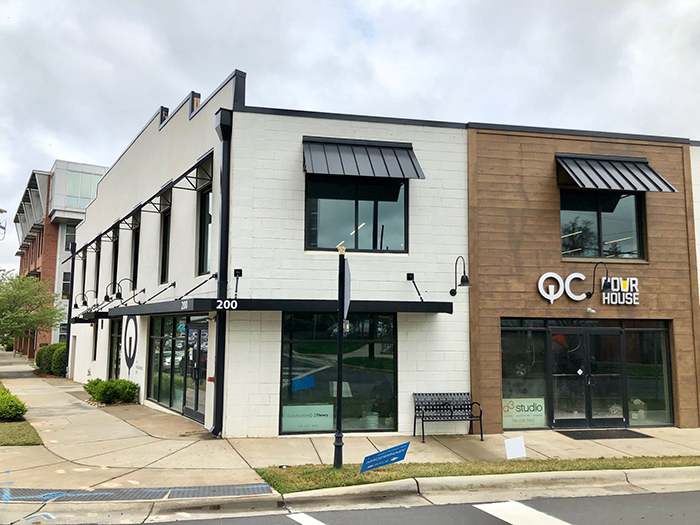 QC Pour House, a neighborhood bar and restaurant, plans to open in mid-May near Superica in South End. Expect plenty of TVs, elevated bar food, straightforward cocktails and plenty of beer on tap. 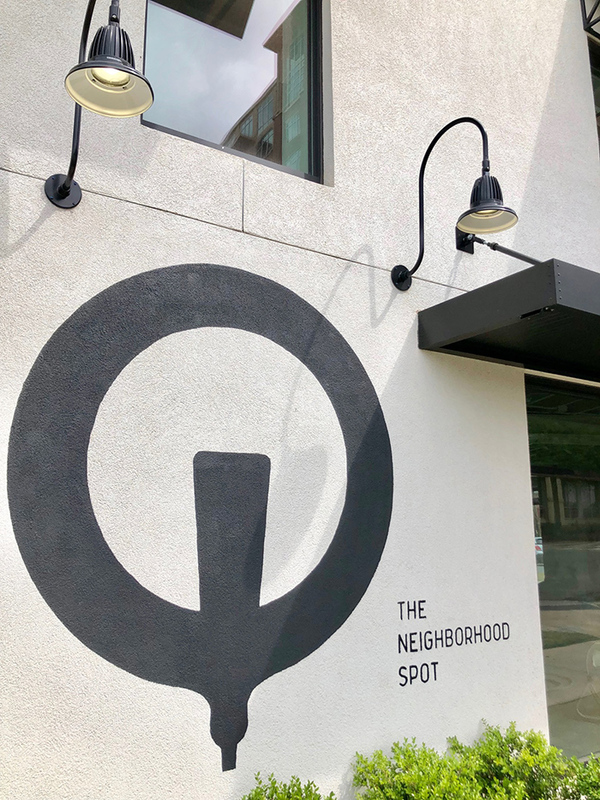 Similar to VBGB, QC Pour House will be a free-roaming bar — you’ll order food at a window and drinks at the bar (no servers, just bar/kitchen staff). 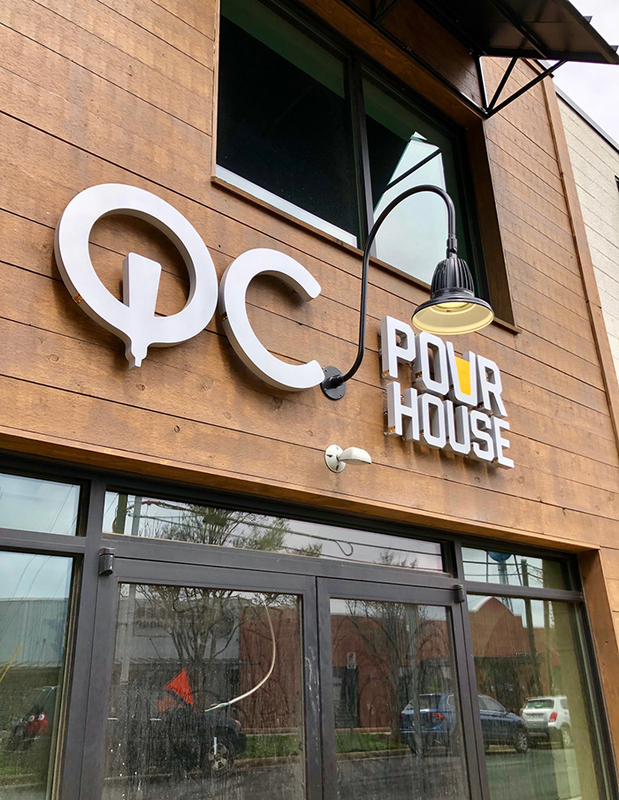 QC Pour House’s exact address is 200 W. Tremont Ave. 101, and hours will be from 11:30 a.m. to midnight Sunday through Wednesday and 11:30 a.m. to 1 a.m. Thursday through Saturday. 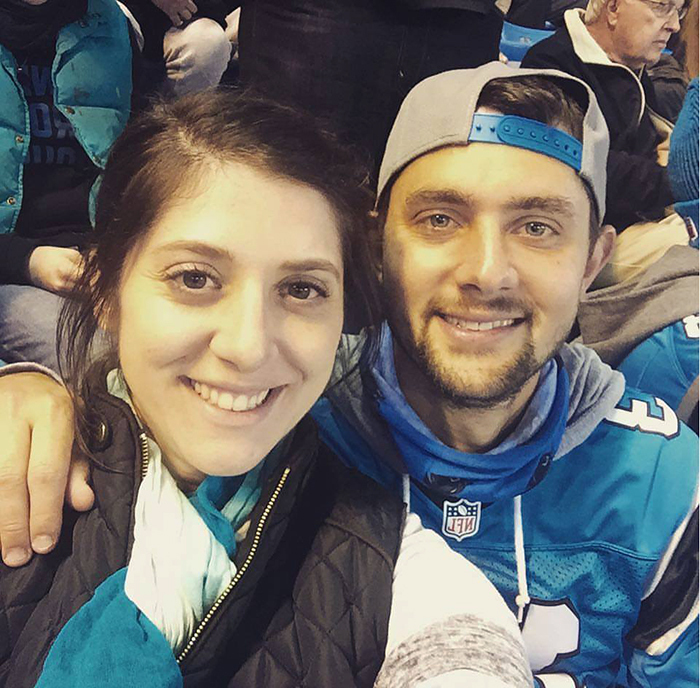 Team: The owners are Jay and Ashely Gasbarro, a husband and wife team who have been working on the concept for more than five years (photo below). Kellie McCann will be the GM and Harry Pappas will manage the kitchen. 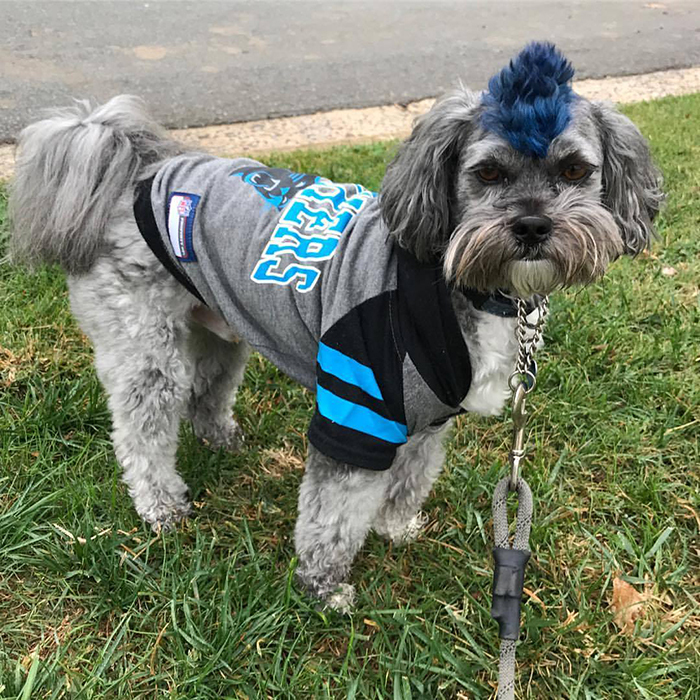 Oh, and they also have a dog on staff as a mascot — his name is Tucker, and he’s famous in South End for repping a Panthers blue mohawk (below). 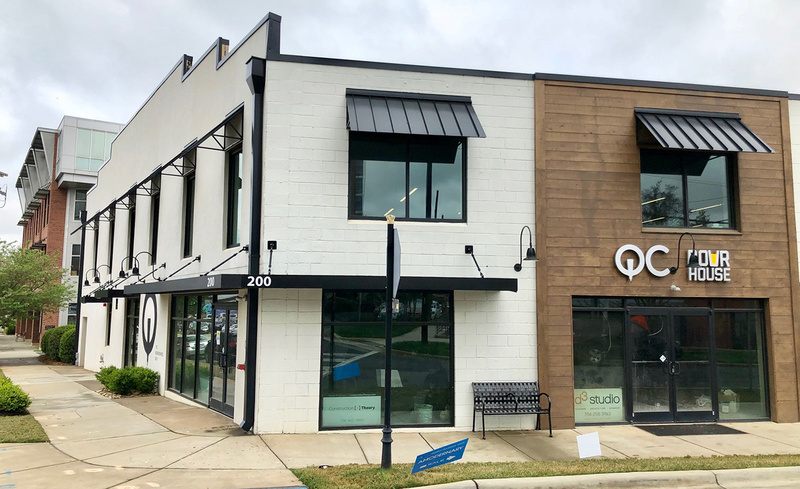 Food: QC Pour House’s menu has about 25 dishes, and it’s divided into shareables, sandwiches (with your choice of side), hand pies (think mini calzone) and salads. Think well-executed bar food. Noteworthy dishes include a signature Philly cheesesteaks, grilled pickle sandwich, Greek-style nachos, steak tip kabob sub, blacked chicken sandwich. Hand pies include pepperoni, buffalo chicken sausage and three cheese. Prices are what you’d expect, mostly $7-$13. Drink Specials: $4 local drafts on Monday; $5 well liquor drinks on Tuesday; $6 wine night on Wednesday; $5 select QCPH cocktails on Thursday; and $5 mimosas, bloody mary’s, and Orange Crush cocktails on Sundays. 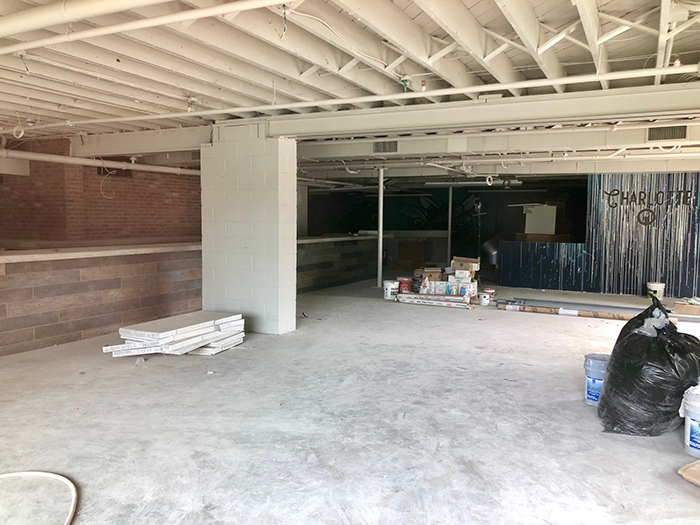 Growth: This area in South End is blowing up, and within a few hundred yards of QC Pour House you’ll find Hawkers, Superica, Barcelona, Jeni’s Ice Creams, Pike’s, Sycamore Brewing, Yamazaru, Zeppelin, Bang Bang Burgers, Common Market South End and soon — Pins Mechanical Company and 16-Bit Bar+Arcade (both under construction). 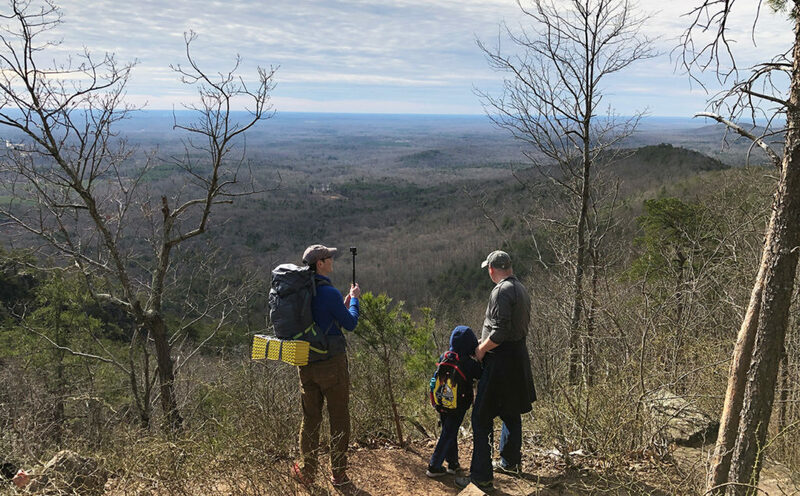 And don’t forget about Atherton, which is also less than 500 yards away.